An exciting new venture creating stronger links between the classroom and local business will be launched in Hull. Up to 200 pupils at the Gillshill Primary School in Cavendish Road will be taking part in the WORLD OF FOOD 2019, an annual project run by The Ramsden Group of Companies through their Dee Bee wholesale and Today’s Extra convenience store brands. 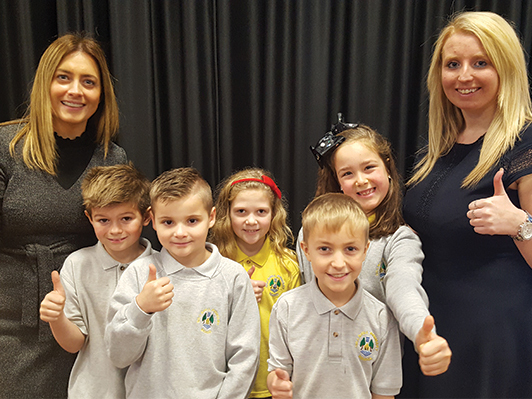 A similar programme was staged earlier this year in partnership with a primary school in Grimsby, the home of the Ramsden Group, and proved to be hugely successful and popular among both pupils and staff. A competitive element will see the children work in teams to produce pictures or a montage showing certain parts of the world and food origins. Andy Morrison added: “The Ramsden Group, mainly through its Dee Bee brand, has had a presence in Hull for several decades and as a family-owned business we have a strong commitment to the communities in which we operate, on both banks of the Humber.